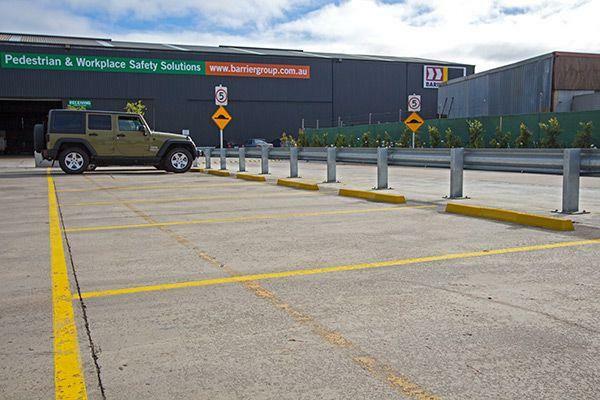 Barrier Group moved from Weddell Road to a new two and a half acre site in Separation Street, North Geelong 16 months ago. 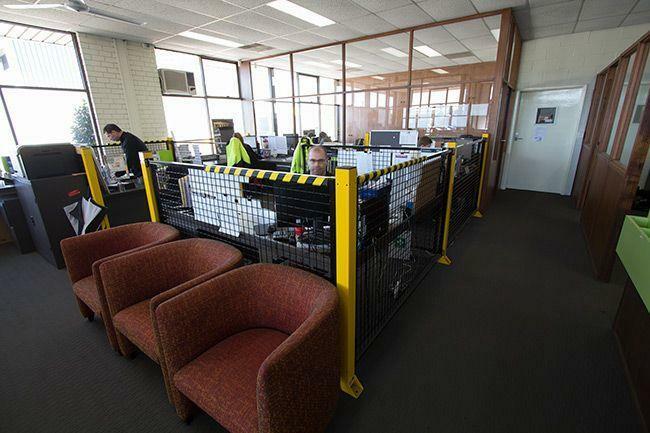 In that time, we have managed to renovate and upgrade our workplace to ensure that it is compliant to Australia's industry safety standards. 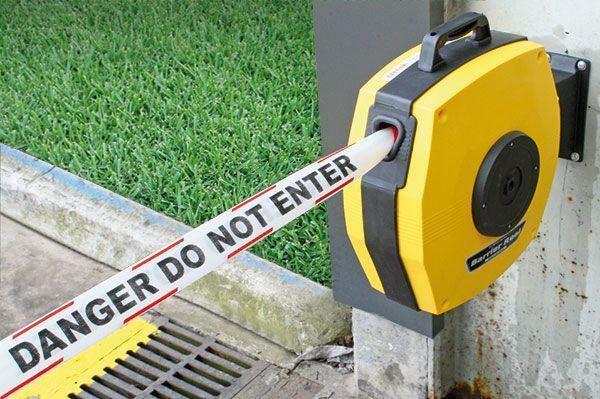 During this process, we have installed many of our own products and services to improve employee safety. 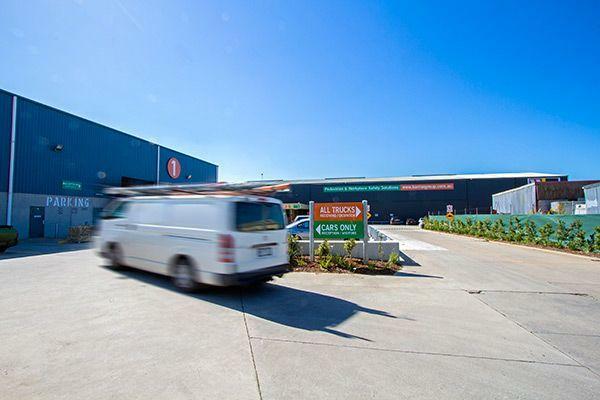 Slo-Motion Compliance Speed Humps slow down delivery trucks, vans and vehicles moving through our site. 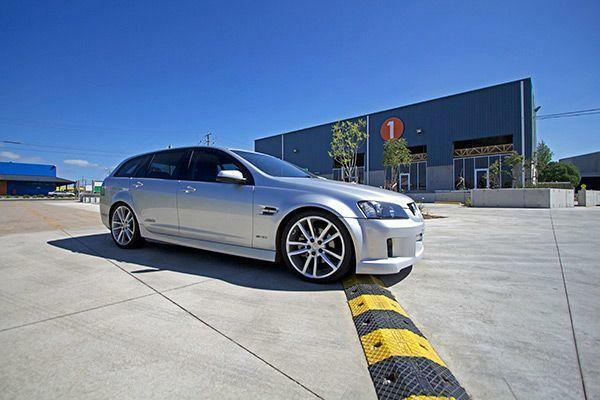 Compliance Wheel Stops prevent cars from over-shooting the park and damaging their car or the w-beam rails. 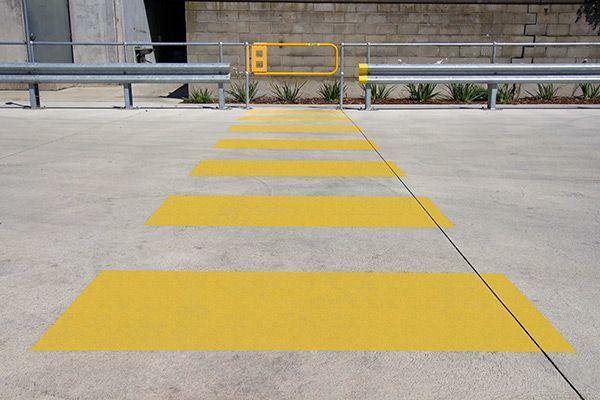 Line Marking indicates zebra crossings, pedestrian walkways, exclusion zones and car parks around the premises. 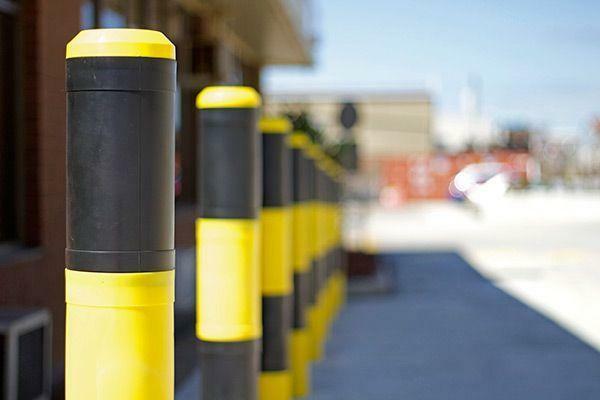 Car Park Signs sets speed limits, directs traffic and creates awareness. and protection to building structures. 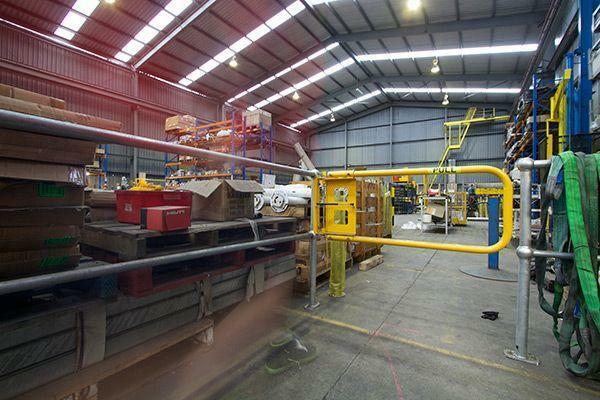 to and from areas inside and outside the warehouse. 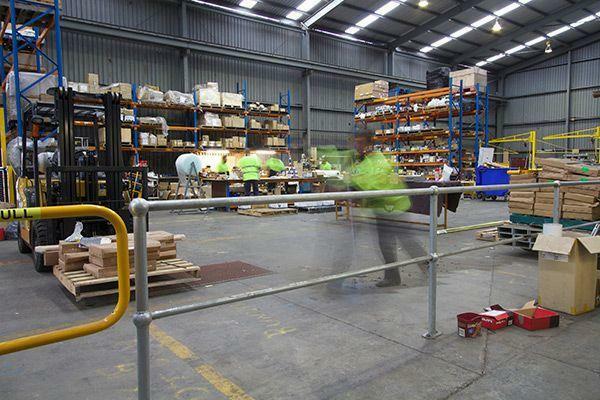 Ball-Fence Gates enables employees to enter or exit pedestrian walkways around the premises. 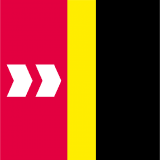 awareness for drivers entering or reversing near the office building. 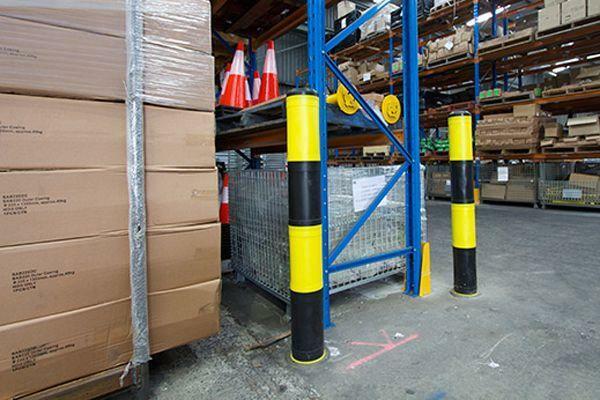 Shock Absorbing Bollards protects building and pallet racking structures against damage by absorbing forklift impacts. 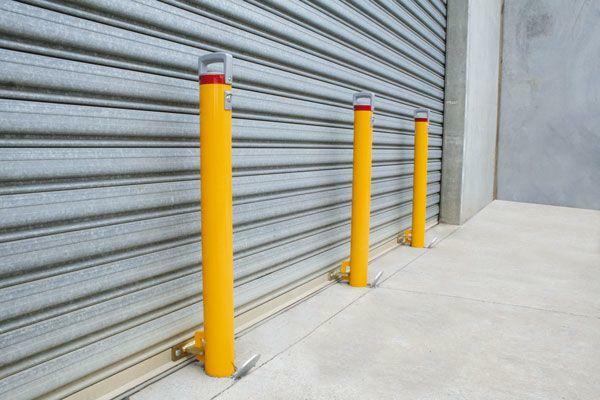 Removable Bollards protects our roller doors from attempted ram raid robberies. 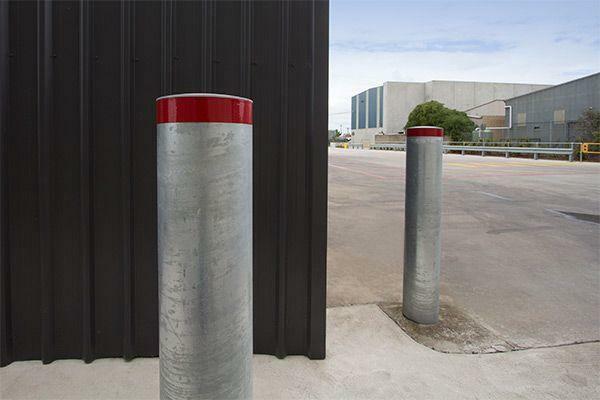 Heavy Duty Round Bollards protects building structures from truck and forklift impacts. 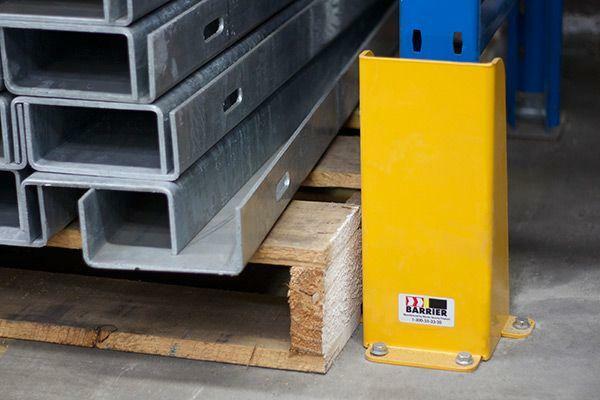 Bull-Dog Brackets guards pallet racking legs by absorbing possible forklift impacts. 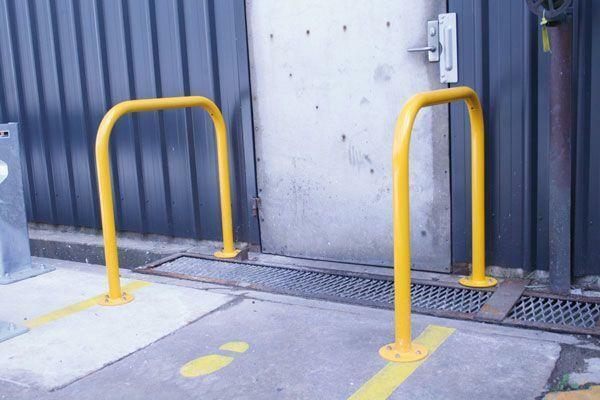 U-Bars protects employees entering and exiting doorways while vehicles are moving through the driveway and walkway. 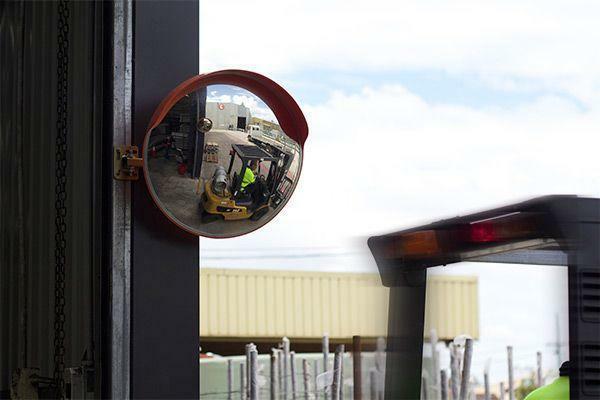 Safety Mirrors installed on warehouse entrances and blind aisle intersections to prevent forklift and pedestrian collisions. 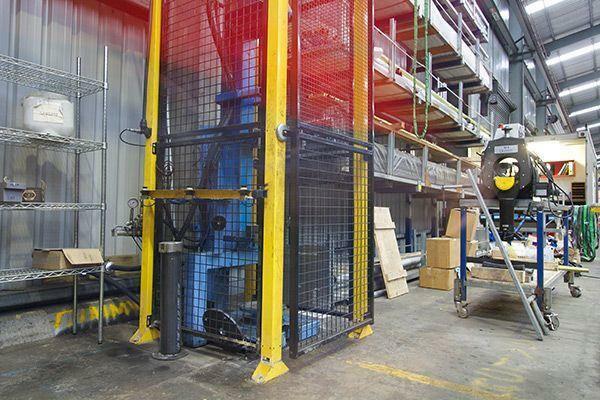 while forklifts are operating inside the warehouse. 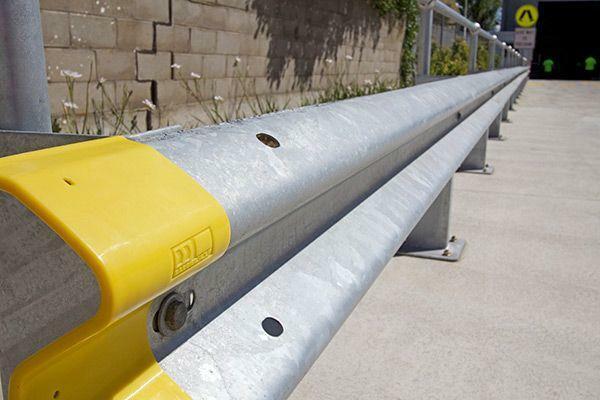 Skateboard Stops prevent skateboarders grinding along concrete edges and damaging our assets. 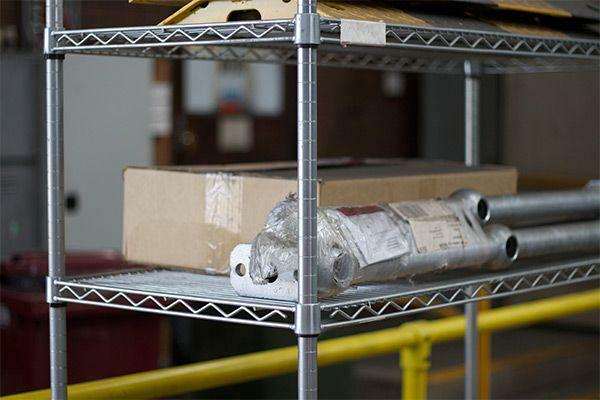 Modular Wire Shelving used to organise our kitchen and utility spaces. This is an ongoing project which is now well and truly into the next phase of building our new state-of-the-art offices, meeting rooms, showroom and kitchen facilities complete with indoor dining and outdoor alfresco areas. I will keep you all informed as the building progresses and more barrier group products are installed to complete the project. 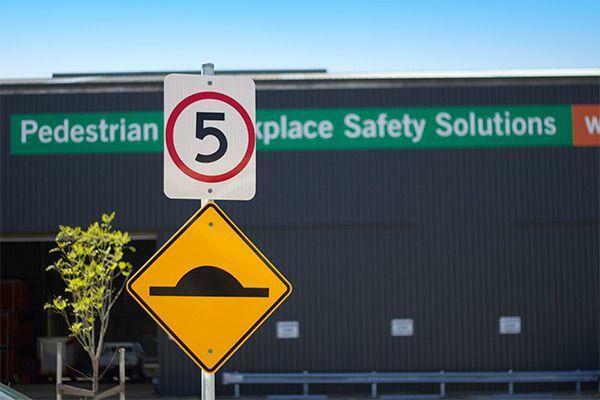 We would love to hear from you and work with you to create a safer work environment at your own site. Comment below if you have questions about any of the products showcased today or contact us to get started now.